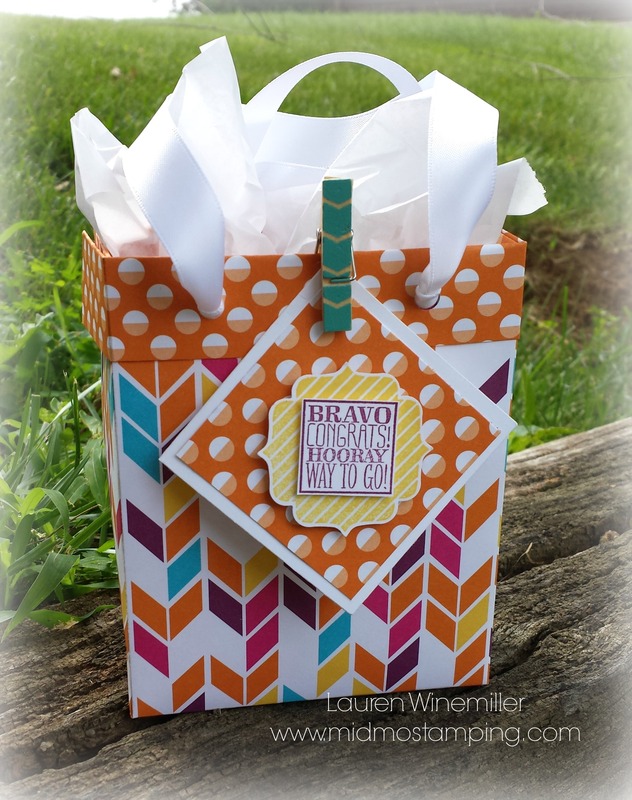 There’s a whole lot of color going on with this super cute gift bag. 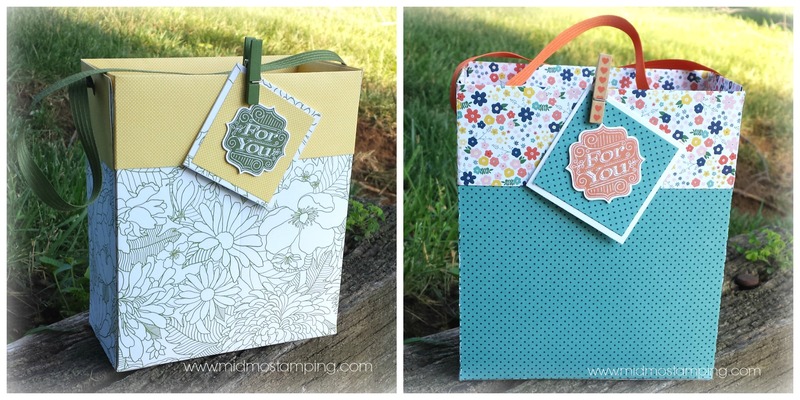 And YES, it’s created entirely of Stampin’ Up! Designer Series Paper!!!! With this month’s Buy 3 Get 1 FREE dsp promotion, I thought it was the perfect time to showcase these adorable–and super simple–bags. I found this GREAT video tutorial from SU Demo Jackie Bolhuis–Thanks Jackie 🙂 Here’s a quick cheat sheet — but I suggest you watch the video, as she gives you some great tips and tricks! The little card and coordinating clothespin tie the whole package together. The card measures 2.5″ x 5″ (fold in half) and the dsp is 2-1/4″ x 2-1/4″. I LOVE the simple elegance of the Back to Black dsp — stunning! 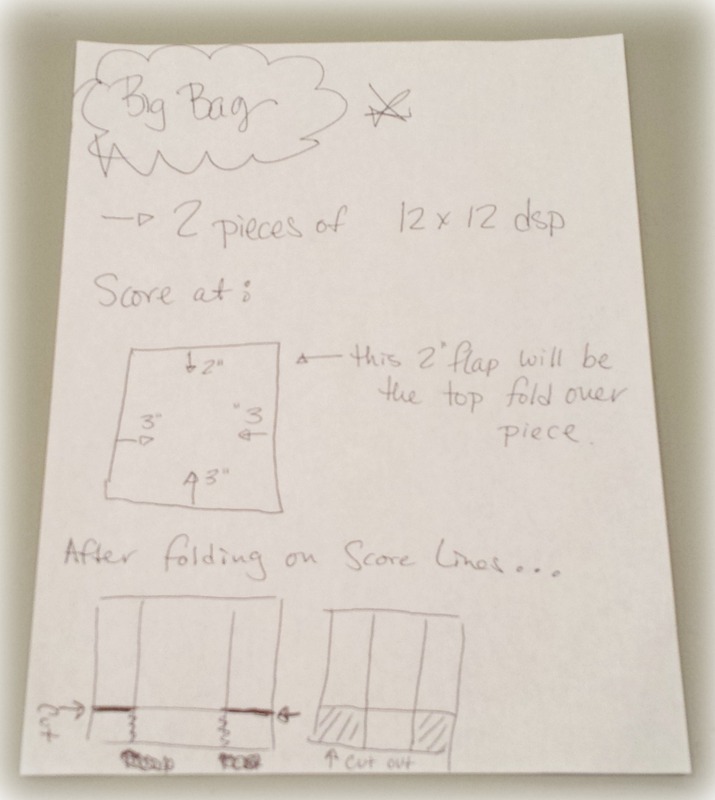 P.s….you can also make a smaller version using 8″x8″ pieces of dsp. Just reduce your score lines to 2″ and 1″. 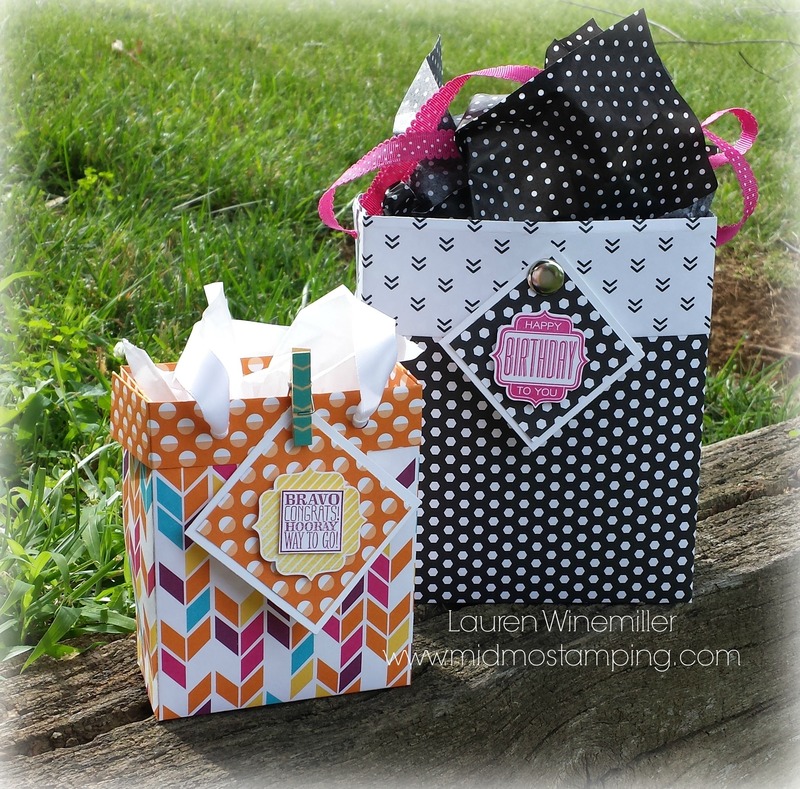 The smaller bags are great for gift cards and small treat items. I’m off to Stampin’ Up! Convention today–WoooHoooo Can’t wait!!!!! !